A senior Serbian government official warned that another war may break out in the Balkans if Albania tries to establish a union with the breakaway region of Kosovo, urging the West to denounce the plan. Serbian Prime Minister Aleksandar Vucic said that the mooted unification between Albania and Kosovo “will remain only wishful thinking,” and called on the EU to react. “If I said that all Serbs should live in one state, I would be hanged from a flagpole in Brussels,” Vucic added. Earlier this week, Albanian Prime Minister Edi Rama said an interview with Politico he cannot rule out a union between Albania and the breakaway province of Kosovo – formerly part of Yugoslavia – if the country’s EU membership bid is off the agenda. Such an alliance with Kosovo was not his own wish “but a possible alternative to the closed door of the European Union,” Rama said. “There is a lack of understanding, or a lack of vision in not realizing that this region needs Europe, but Europe needs this region too,” the prime minister said. Responding to Rama’s remarks, Aleksandar Vulin, a Serbian government minister, said he expects the EU and NATO to dismiss such statements, otherwise another war in the Balkans may break out. Vulin said that a new war in the turbulent Balkans would also involve Macedonia and Montenegro – countries with sizeable ethnic-Albanian diasporas. 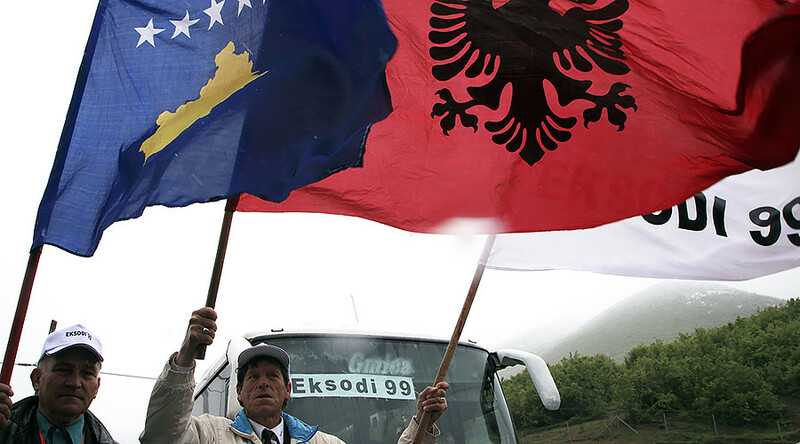 Serbia remains wary of a union between Kosovo and Albania, fearing it would trigger a new upheaval in the region which slid into bloody ethnic war in the 1990s as Yugoslavia was torn apart. In 1999, NATO bombed Yugoslavia in response to what the alliance said was ethnic cleansing of the Muslim population of Kosovo. The province seceded from Serbia in 2008, but its political status and the formal declaration of independence remain questionable under international law. Most EU member states welcome the secession of Kosovo, but Russia reacted with condemnation, saying the unilateral action creates upheaval in the Balkans. Serbia, for its part, does not recognize Kosovo as an independent entity as well. 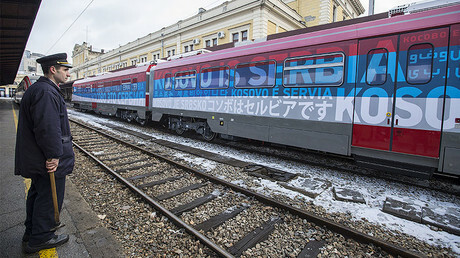 Kosovo is now split into seven administrative districts and 38 municipalities, following the 2013 Brussels Agreement which sought to form new Serb-populated municipalities. The Albanian-controlled government sits in Pristina, with the Serbian minority occupying Mitrovica and adjacent municipalities.